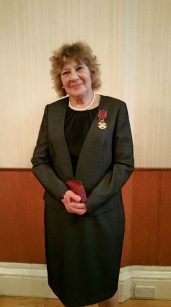 On 11th of April 2018, Mrs Izabella Zofia Therese Fraser was nominated the first Honorary Consul of the Republic of Poland in Inverness and Highlands. From 2016 to 2017 she was the Chairman of the Inverness Polish Association. Its main goal was to provide help and represent the Polish community in the Highlands. Since 2008 she is the headteacher of the Polish Saturday School in Inverness where children can learn about the Polish culture, history, language and tradition. In 2017 she received a Golden Cross of Merit from the president of the Republic of Poland for her exceptional community service. Please phone +447703357546 or +447745096059.